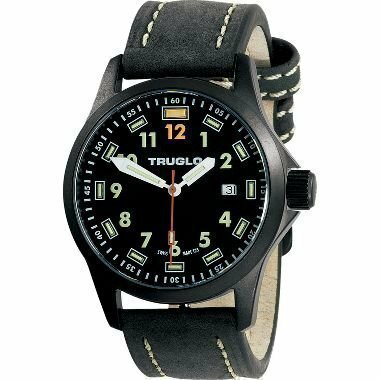 Here are some interesting Tritium tube watches. Tritium tubes do not require light to charge and do no require batteries. They should glow at close to full brightness for 10 years, readable for 25 years! Reasonable 42m in diameter, 20mm band, so easy to swap out. Jeweled Swiss quartz movement. 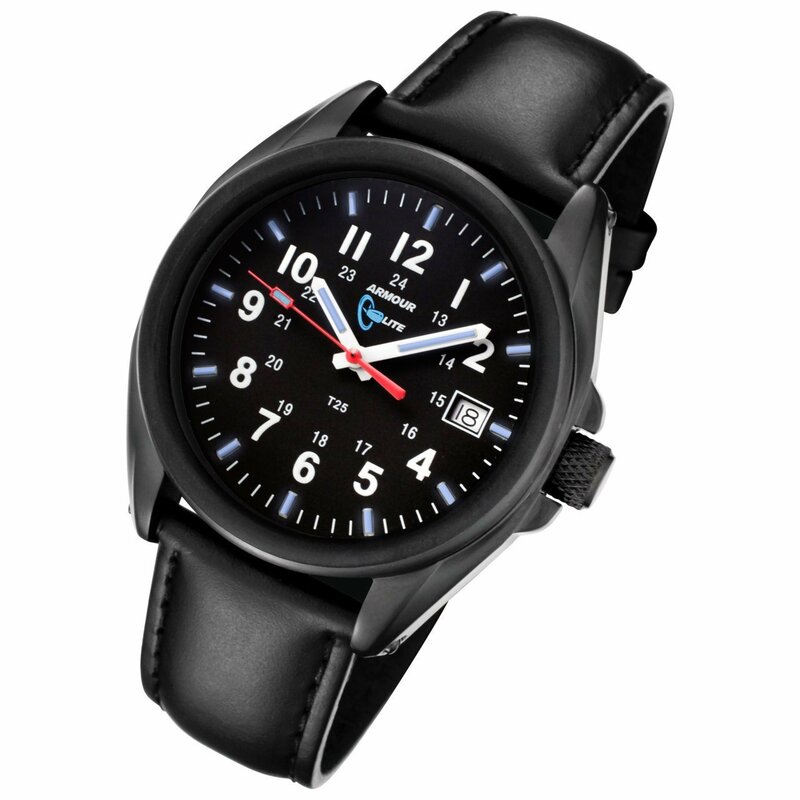 Clean and easy to read dial. Armour Lite 38mm diameter watch. Listed as a Woman’s, but if you have smaller wrists, it would look good. A little spendy at $299.